Double LP test pressing of the 2009 remastered edition of Bleach , and the complete 1990.02.09 live show at Pine Street Theater in Portland, Oregon. 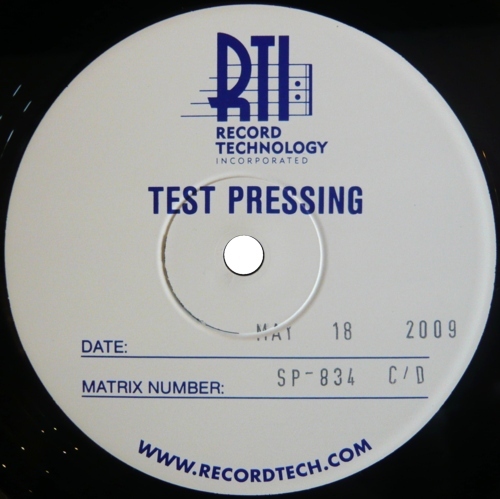 The test pressings are on black vinyl with RTI test pressing labels on sides A and C, and white labels on sides B and D, and came in two plain white sleeves sealed separately inside loose plastic. 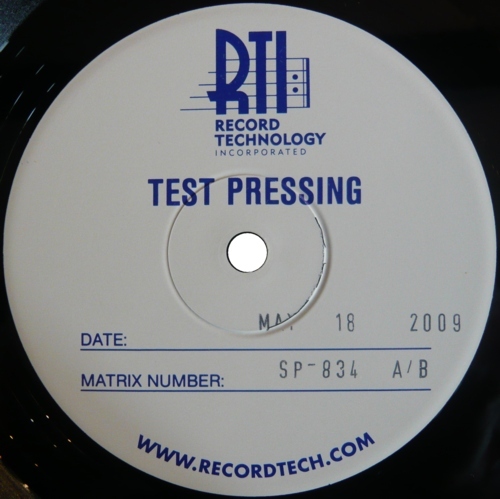 The pressing date and the catalog number are stamped on the labels and on the sleeves. 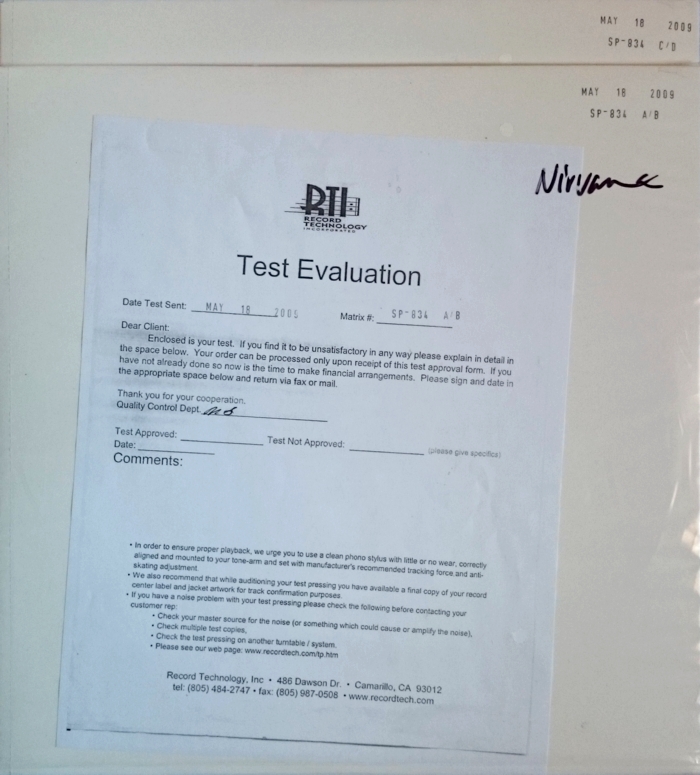 One copy came with a test pressing evaluation sheet sealed in with one of the records, and "Nirvana" written on the plastic wrap. Ten copies were made , three of them have been found. One copy was sold by Bruce Pavitt, and another by another Sub Pop employee.